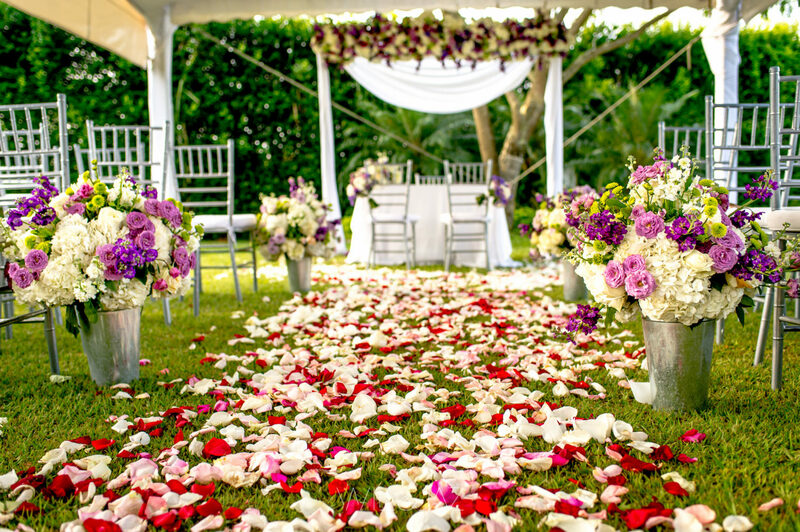 Country Weddings - Entremanteles | Bodas Cali y Bogotá, eventos sociales y empresariales. 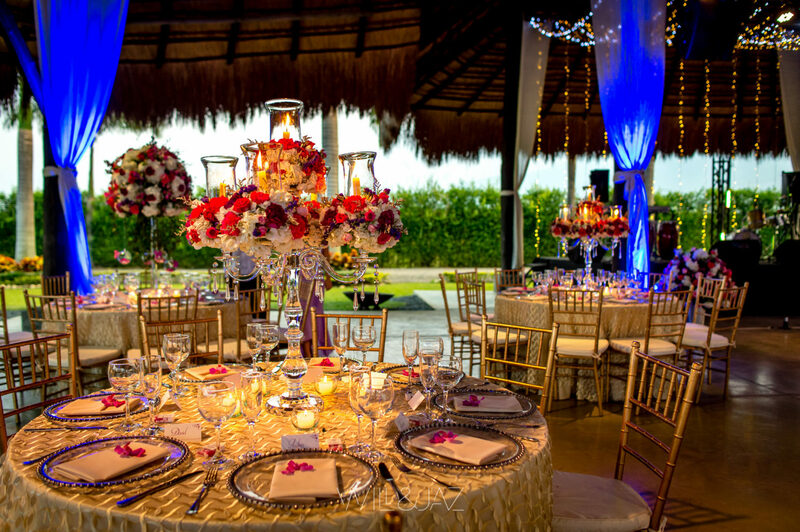 One of the fundamental elements in the planning of your wedding is the choice of colors that will frame the decoration. You can choose from a single tone, use the mixture of 2 or 3 and even have a great diversity of colors according to your personality and what you want to project. In this specific case the couple chose the ranges of lilac and purple, accompanied with some green and white to soften, gave an elegant and cheerful touch at the reception. Having petals of colors towards the altar, turns out to be a very good alternative for rural marriages. These accompanied by a chuppah and floral arrangements for the way of the couple will give that elegant touch to your ceremony. 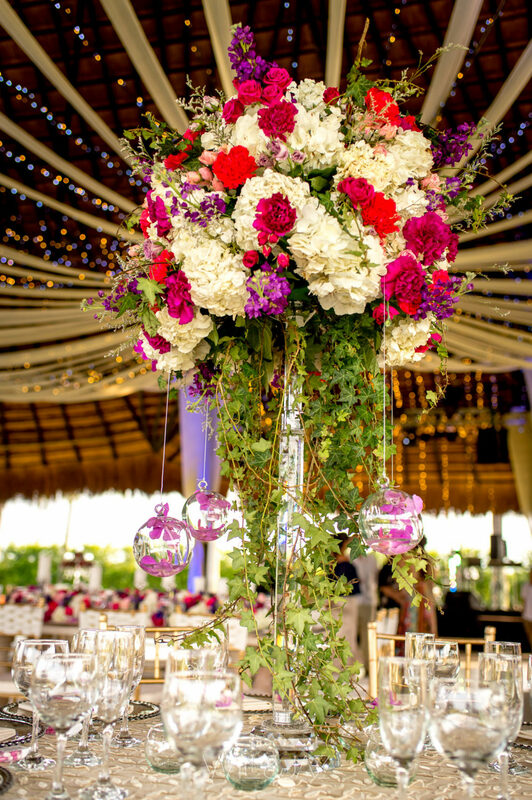 The centerpieces will be the perfect complement according to the style chosen by the couple. In this case we made several proposals, centers of high tables with roses, hydrangeas, carnations, ivy and some hanging details in glass, with orchid inside. As a second option we use candelabra table centers that allow the use of candles to provide a very dim lighting creating a sober and very romantic atmosphere. 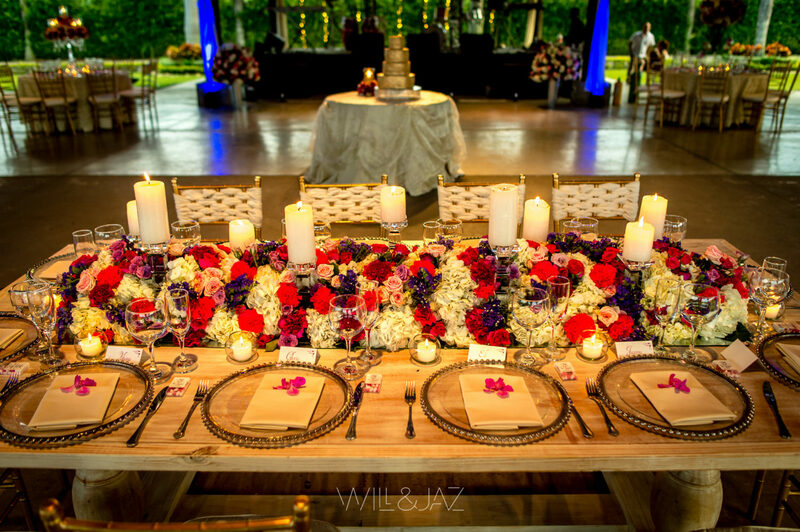 The low floral arrangements were the design chosen as a third option for the centerpieces, arranged on long wooden tables which, when combined with round tables, provide more dynamic structure and disposition to the spaces within the reception.